Or is water your preferred element? Then go to a Norwegian fjord and follow a kayak track or explore the Mediterranean Sea with a sailing boat. You can find information on all sorts of outdoor activities, including ice climbing, ballooning, hang gliding, cave diving, dogsledding or cross-country skiing. 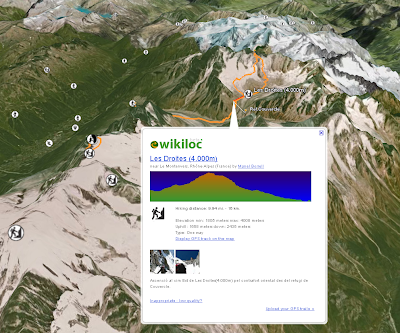 This week, we've added another layer to the Gallery in Google Earth. 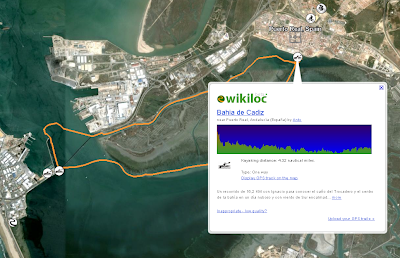 Spain-based Wikiloc aggregates thousands of GPS tracks for various outdoor activities provided by its growing user community. 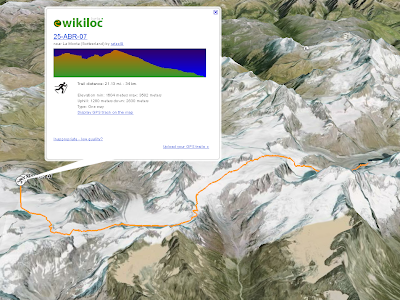 The layer not only lets you display the GPS tracks in Google Earth, but gives you additional information like the distance covered, the elevation maxima, a personal description of the trip as well as pictures taken by the user. This can be interesting to explore, and very helpful for illustrating a trip. It's great fun to explore hiking trails in the Pyrenees or in the Andes, especially when you take advantage of the 3D terrain by tilting your view.